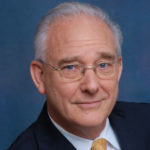 Richard Williamson, Publisher and Co-Editor of Ensemble, Broker with Today Sotheby’s International Realty and CEO of Delloro Financial Services, has maintained his real estate practice in the San Francisco & Silicon Valley market for over 25 years. Practicing in multiple areas of real estate with a special focus in estates of historical or architectural significance, Mr. Williamson’s background in both business and creative arts are revealed in his unique marketing approach. He is fluent in English and conversational Japanese. Ensemble magazine is a bilingual publication associated with Today Sotheby's International Realty with a focus on Architecture, Design, Creative Art and Fine Estates in San Francisco Bay Area and Around the World. 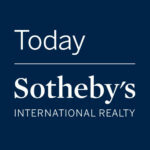 Today Sotheby's International Realty is located in San Carlos, California. Being associated with Sotheby's, we are grateful to be also involved in the art side of living; with the purchase and sale of the house, as well as the paintings that hang on the walls and collectibles in the house that represent the extraordinary life style of the elites. 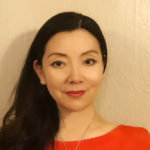 Patrice Chou, Artist and Art Consultant, is a graduate in Psychology from National Taiwan University and has a Communications Management graduate degree from University of Southern California. She has 10 years of background in marketing and public relations with international trading business. Meanwhile, being an enthusiastic art lover and a knowledgeable wine educator, she specializes in organizing exclusive private art and wine events. After intensive art study in France, Italy, and the U.S., she is now an independent artist as well as an art consultant. She is fluent in English and Mandarin. Ms. Liu has operated her successful practice in international real estate for many years. Her keen eye for investment opportunities has resulted in numerous successful projects in Asia and the US. She has finance and management degrees from McIntire School of Commerce at University of Virginia and a Communications Management graduate degree from University of Southern California. 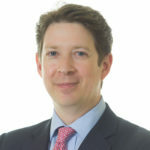 Brett O’Connor joined Sotheby’s in 1999 and has been based in Geneva since 2002, sourcing gems for Sotheby’s worldwide Jewellery auctions. He has over 22 years of auction experience on three continents and has been involved with many of the important jewellery collections, including the collections of Baroness Eugene de Rothchild, Luisa Fanti Melloni, Maria Callas, Madame Claude Arpels, Lily Marinho, Count Guido Henkle von Donnermarck and Gina Lollobrigida. Mr O’Connor earned a Graduate Gemologist diploma from the Gemological Institute of America in Santa Monica, California, in 1994. Iris Fabbri, Director of Sotheby’s Auction House in Lugano, Switzerland, is a graduate in architecture from Politechnical School of Milan and started her career with well known Italian classic Architect, Renzo Mongiardino. She has her own firm in Lugano, Switzerland, specializing in serving significant private clients worldwide both in building classic and modern contemporary homes, including interior furnishings and complete decor. As Director of Sotheby’s Auction House in Lugano, she is responsible for commissioning the sale and purchase of art , jewellery and other valuable collectibles at auction on behalf of clients. Garnett Ge, Cross-border Venture Manager at Plug and Play, has a Bachelor Degree from University of Wisconsin La Crosse and Master Degree from the Johns Hopkins University. 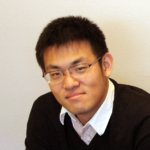 He is now based on Silicon Valley and formly served as a reporter from Xtecher, the top 5 tech media coving in China. 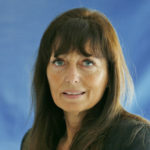 Garnett`s writing includes individual profile, industry insights, startups & investments, technology and so on. 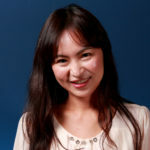 Ms. Liu is an international senior media person, magazine columnist, and editor, who has participated in many influential exhibitions and art events as an art critic and curator. Her art commentary column is well-known, such as her “Twin City Clouds” of “America’s Past Events” series, along with artworks of the southwestern Chinese artists' group, were given as the “City Culture Gift” of Chengdu to the Hong Kong and Macao SAR governments.